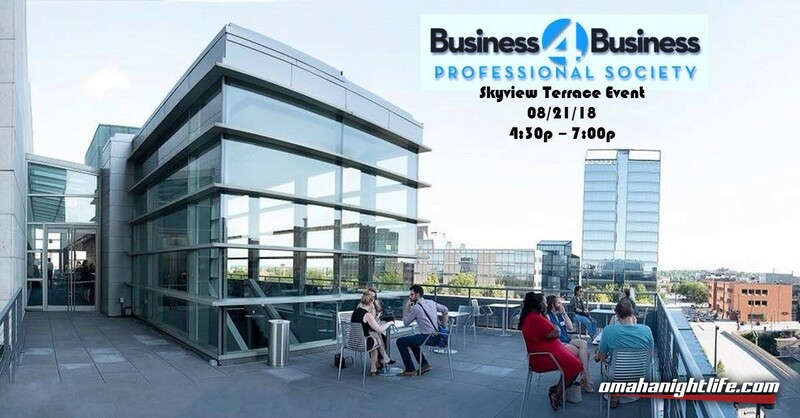 Join Business4Business Professional Society for an exclusive first look at the all new Skyview Terrace on the rooftop of the Holland Center! Benefiting the Omaha Performing Arts! Come network with business owners and community leaders while enjoying the downtown gem that is the Holland Center! Enjoy complimentary appetizers from Guckenheimer Catering, amazing drinks, and connecting with influential people in Omaha! Your first drink is free with pre-registration.